We all know about Rodeo Drive and all the massive and expensive shopping in Beverly Hills, but what about all of the unique and strange shops that must be in a place as big as LA? Have no fear, I have collected just that for you to digest in this blog. 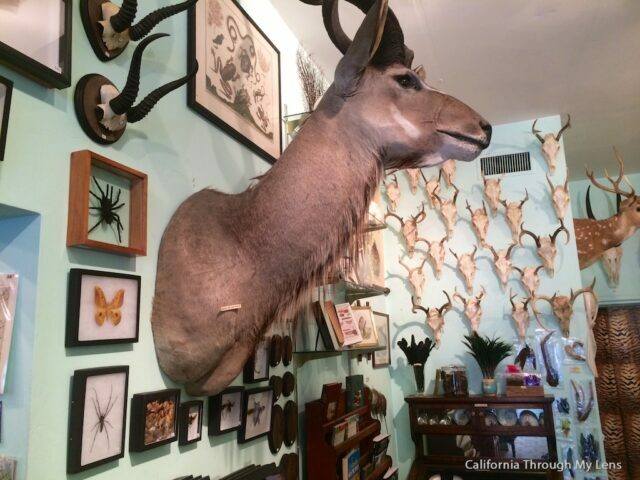 From the shops filled with taxidermy to wizardly influenced alleyways of Harry Potter merchandise, you can find a little bit of everything in Los Angeles. Here are my top picks. Check out the map at the end to get directions to your favorite. This shop reminds me of walking into Diagon Alley from Harry Potter fame. When you enter the store you are in an alleyway and there are small shops off the alley that sell everything from Dr. Who and Game of Throne items to candy and Harry Potter stuff. Plus if you walk past the counter there is also a Great Hall where you can attend some of the special events they have in the store. Fun place for all ages. This shops is one you can get lost in. 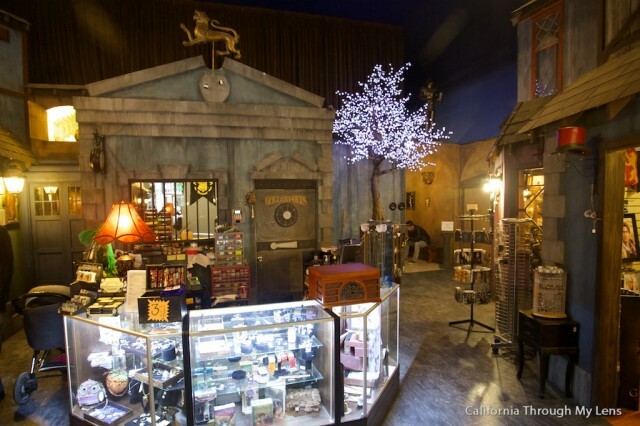 There is so much awesome and weird stuff all under one roof that it is hard not to buy something. 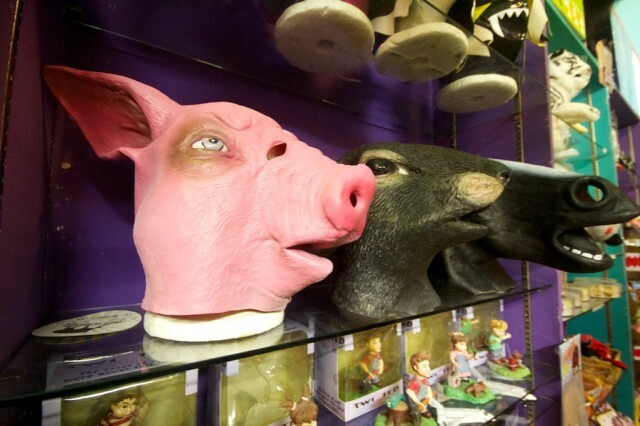 Everything from books and action figures to masks and games are represented in this store. There is even an art gallery in the back if you want to see what others are creating. I especially liked the ominous painting on the ground when you walk out as well. Read the full post here. This small gift shop is for the LA Coroners Office. Yes, you read that right, the coroner’s office. It has a lot of death related memorabilia like chalk outline towels and skeleton pens. Can’t beat the strangeness of it all. Read the full post. While not as weird as some of the other places on the list, this shop has a massive amount of candy and soda from all over the world. I love going here and just picking something random to try. I mean they even have Castro’s “Havana Banana Soda, ” what more could you ask for? Be sure to check out there massive selection of taffy as well. This small store in Echo Park is home to all of the needs a time traveler could possibly have. It has things from the future, things from the past and things for the present. Heck if you are really into changing the past you can always go in and buy a shade tree (seed that you go back in time to plant). 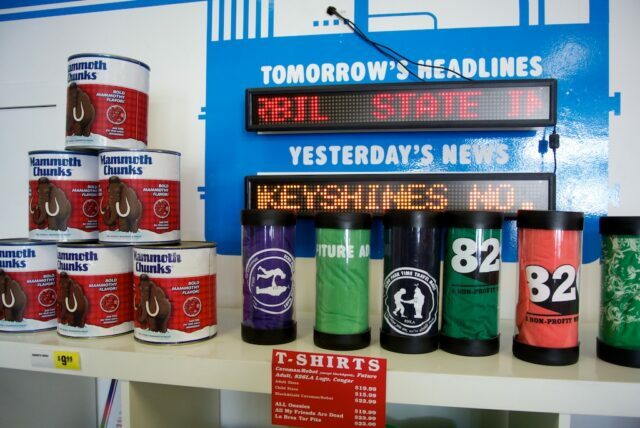 It is a fun and family friendly shop that is also a non-profit. Go and check it out now and read my post. Make sure to let me know what I left off below.